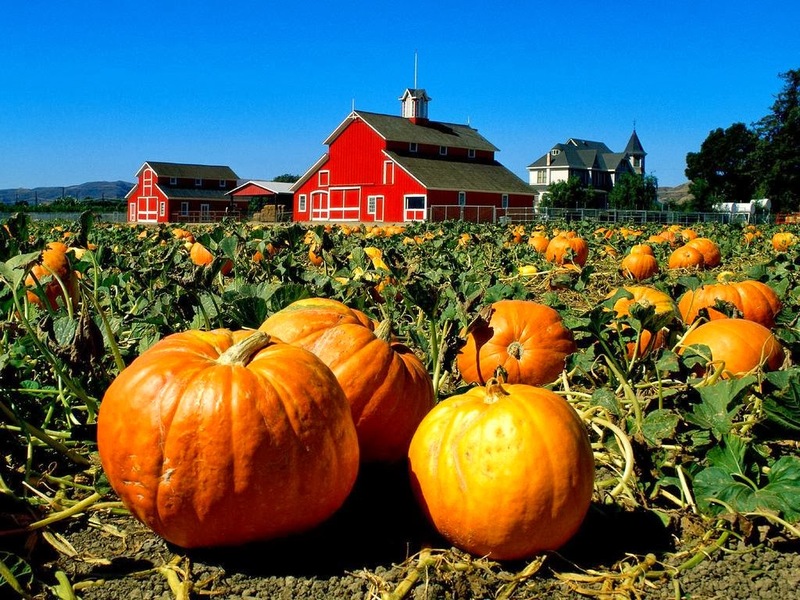 Native to North America, pumpkins are widely grown as a food crop and often carved as jack-o'-lanterns for decoration around Halloween. However to stop them from rotting off in storage they must first be cured. Curing pumpkins is all about getting the rinds to harden, and to do that you can bring them into a greenhouse or a sunny window in your kitchen. If you can leave them there for about a fortnight what you will notice is that the skins will colour up and the flesh inside will sweeten as the starches inside turns to sugar improving the flavours no end. After the fortnight, turn them upside-down so that the bases colour up as well. Clean the fruit before storing and wipe with a weak household disinfectant solution. Then they will be ready for storage in a frost free place for several months. It is too warm indoors for long-term storage so you will need a cool alternative space such as a shed, garage, greenhouse - or if you are lucky enough - a barn. Positioning is also important as you should never place a pumpkin directly onto a wooden table top or even on to carpet. These surfaces can soften the pumpkin on the blossom end and even cause it to weep pumpkin juice. Even if it doesn't weep, the moisture in the shell can damage wooden surfaces. Also storing on a hard non-porous surface can cause your pumpkins to age prematurely. Your best bet is to sit the pumpkin onto a circle of cloth, straw or cardboard so that you can create a gap between the pumpkin and the surface you are storing it on. Good ventilation is important as it will reduce the incidence of moisture on the pumpkin's surface and associated attack by fungal spores. Avoid letting the pumpkins touch and only ever try to store as a single layer as they will keep longer this way. If freezing temperatures are expected then cover your pumpkins with blankets or a good layer of straw. Remember to check them every week or two, and either discard or use any that are starting to soften or mould. You will also need to keep an eye out for mice, as they will love to eat pumpkins. 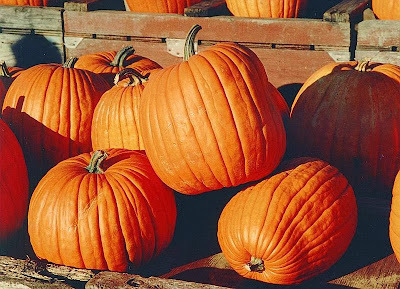 Most pumpkin varieties will store for at least 3 months although some varieties will store successfully for 6 months or more such as the 'Jack-O-Lantern' variety.